Suspended almost 100 ft (30 m) above sea level, the Carrick-a-Rede Rope Bridge was first erected by salmon fishermen 350 years ago. Today it is a popular tourist destination, attracting thousands of thrill-seekers (and birdwatchers!) to the North Coast every year. 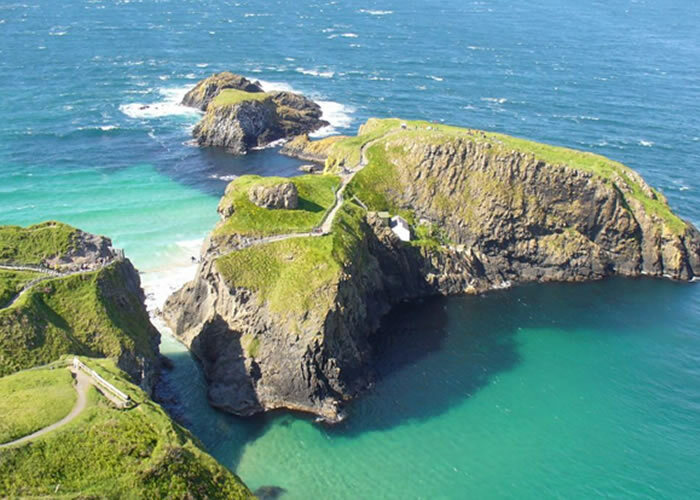 If you are bold enough to cross the 65 ft (20 m) bridge, stretching from the mainland to 'Rocky Island', you will be rewarded with fantastic views of Rathlin Island, Scotland and the Causeway Coast. Get a bird's eye view of the clear, green water flowing around the ancient caves and caverns far below - if you dare to look down. Guest Reviews Click here to see what our guests have to say.